Kitties, puppies and mirrors… oh my!!! I know I’ve had this reaction a few times when I look in the mirror! How about you??? Some are awkward-looking. Some are downright adorable. Without a doubt, these baby owls are definitely majestic in the end. Unhappy pug just wants daddy back in the car! Wait till you see how little Sweet Pea reacts when daddy steps out of the car to go in the store! It’s okay, Sweet Pea! He’ll be right back! This fawn thinks its found a new papa!! All it takes is some fresh water! Better watch out for these adorable thieves!! You gotta watch out when there’s a cute and adorable thief nearby. You never know what might grab their interest!! 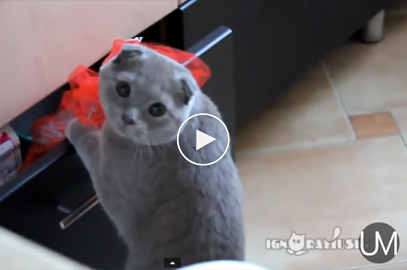 Watch this Precious Kitty clean her Best Friend! There’s just this one spot that won’t come out! 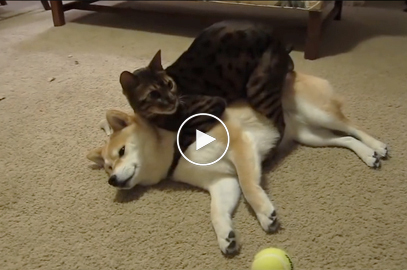 This awesome kitty cat shows best friend what love is ALL ABOUT! Puppy loves to cuddle with his human!!! This puppy knows where the best places are to cuddle up and get some shut-eye! It doesn’t get better than kitties and babies! Prepare to start laughing your “tail” off at these kitty/baby antics, especially after around .49!! So much love for our furry friends!! 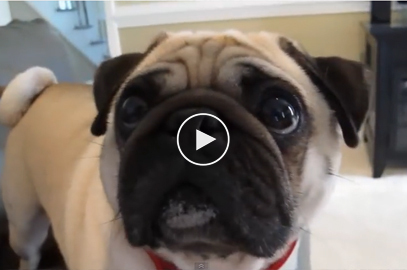 Adorable pug endures a gentle scolding! This little pug takes his scolding better than any three year old! What an adorable pup!! 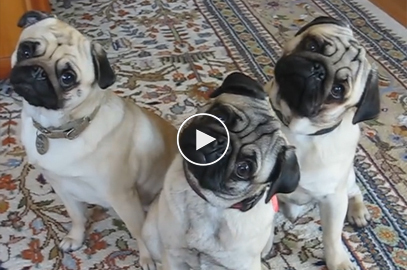 There are very few things cuter than the infamous PUG HEAD TILT! !